Matt Puempel scored his first career hat trick – all power play goals – as the Rangers beat the Arizona Coyotes Thursday night in Glendale, AZ, 6-3. The Blueshirts scored four power play goals in the game, for the first time in nearly seven years. Nick Holden had the other power play goal, while Chris Kreider and J.T. Miller had the two New York even-strength goals. Kevin Hayes had three assists. Antti Raanta, subbing for the ailing Henrik Lundqvist, made 18 saves in the win. The last time the Rangers scored four power play goals in a game was February 4th, 2010 vs Washington. They went 4 for 7 with the man advantage. Powerplay goals by Puempel and Holden in the first eight minutes of the game gave the Blueshirts a 2-0 lead. Early in the 2nd period, Kreider’s goal, on a deflection, made it 3-1 just 73 seconds into the period. But the Coyotes battled back. A pretty goal by former Ranger Anthony Duclair at 15:32 of the period made it 3-2. And Tobias Rieder‘s goal at the 7:32 mark of the 3rd tied the game 3-3. But Puempel’s goal with 5:30 to play gave the Rangers a 4-3 lead. An empty-netter by Miller, and one final goal from Puempel – with 17 seconds remaining – provided the final 6-3 margin. The Rangers [now 25-12-1, 51 pts] close out 2016 when they play the Avalanche in Colorado on New Year’s Eve. After giving up 14 goals in back-to-back losses just before Christmas, the Rangers needed a win Tuesday night at The Garden, and Derek Stepan and Nick Holden stepped up and led them to one. Stepan and Holden scored two goals apiece, and the Rangers came from behind to beat the Ottawa Senators, 4-3. Antti Raanta made 33 saves for the win, as Henrik Lundqvist missed the game with the flu. The Blueshirts found themselves down 3-1 after one period, and the doubts – fueled by those two bad losses before Christmas – began to return to the minds of fans at The Garden. But Stepan’s 8th goal of the season at 2:45 made it 3-2, and his second goal of the period, at 14:55, off a great pass from Mats Zuccarello, tied the game, 3-3. Stepan’s second goal of the game was New York’s first power play goal since December 11th. In the 3rd period, Holden’s wraparound goal past Mike Condon, gave the Blueshirts a 4-3 lead 6:31 into the period. Brady Skjei hustled too keep the puck alive in the zone, and Holden’s 2nd goal of the game was his 6th on the season, tops among Rangers defensemen. Raanta and the New York defense took it from there, killing off two penalties and blocking at least 8 shots, to close out the 4-3 win. Two other bright spots: Ryan McDonagh had three assists on the night, and the Rangers’ penalty kill went 4-for-4. The Rangers [now 24-12-1, 49 pts] take on the Arizona Coyotes Thursday night in Glendale. Henrik Lundqvist stopped all 27 shots he faced, and survived a violent collision behind the net in the 1st period, as the Rangers shut out the Stars Thursday night in Dallas, 2-0. Lundqvist was returning to the starting lineup after being a healthy scratch for four straight games in place of Antti Raanta, who won 3 of those 4 games, giving up only three goals. Midway through the 1st period, Cody Eakin slammed into Lundqvist behind the Rangers’ goal, sending Lundqvist sprawling. The goalie was taken to the locker room to be checked, and Eakin was given a five-minute major for roughing and a game misconduct. Raanta played for the next 5:31 [facing no shots on goal] before Lundqvist returned to the ice. Rick Nash scored a shorthanded goal, 7:08 into the 3rd period, to break a scoreless tie and give the Blueshirts a 1-0 lead. Nash deflected a pass, raced in on Dallas goalie Antti Niemi, and scored his 12th goal of the season. Mats Zuccarello‘s empty net goal with 1:04 to play provided the final 2-0 margin. The Rangers [now 21-10-1, 43 pts] play the Predators in Nashville Saturday night. The Rangers and Blackhawks hooked up in another defensive battle Tuesday night at The Garden, four days after their last meeting, with Chicago coming out on top this time, 2-1, snapping New York’s three-game winning streak. Antti Raanta and Scott Darling were as impressive Tuesday as they were last Friday in Chicago, when Raanta and the Rangers beat Chicago in OT, 1-0. This time, Darling got the win, stopping 33 of the 34 shots he faced. Raanta, starting his 4th straight game and coming into the game with two straight shutouts, made 24 saves and saw his record on the season go to 9-2-0. Trevor van Riemsdyk made it 1-0 5:18 into the 2nd period, ending Raanta’s shutout streak at 176 minutes, 22 seconds. The Rangers quickly tied the game, 1-1, when Jesper Fast scored his first goal in 18 games, batting a loose puck out the air in front of the net and past Darling for Fast’s 3rd goal of the season. The Blackhawks regained the lead late in the 2nd period on a goal from Antem Anisimov at 18:51 that made it 2-1. Neither team scored in the 3rd period. The Blueshirts were without Ryan McDonagh, who came out for warmups, but missed the game, and was said to be suffering from the flu. The Rangers [now 20-10-1, 41 pts] play the Stars in Dallas Thursday night. Antti Raanta stayed white hot, registering his 2nd straight shutout, as the Rangers blanked the New Jersey Devils, 5-0, Sunday night at The Garden. Raanta, starting his 3rd straight game for the team, has allowed only one goal in those three games [181 minutes], all victories. He stopped all 19 shots he faced Sunday, and is now 8-1-0 on the season. The Blueshirts have won 4 of their last 5 games. Chris Kreider, J.T. Miller, Brady Skjei, Brandon Pirri and Jimmy Vesey scored the goals for the Blueshirts. Skjei’s goal, with :03 left in the 2nd period, was his first NHL goal. Pirri’s goal, a power play goal at 6:04 of the 3rd period, was his first goal in 14 games. The Rangers’ penalty kill unit had a good night, stopping all five New Jersey power plays. The Blueshirts’ power play went 2-for-6. 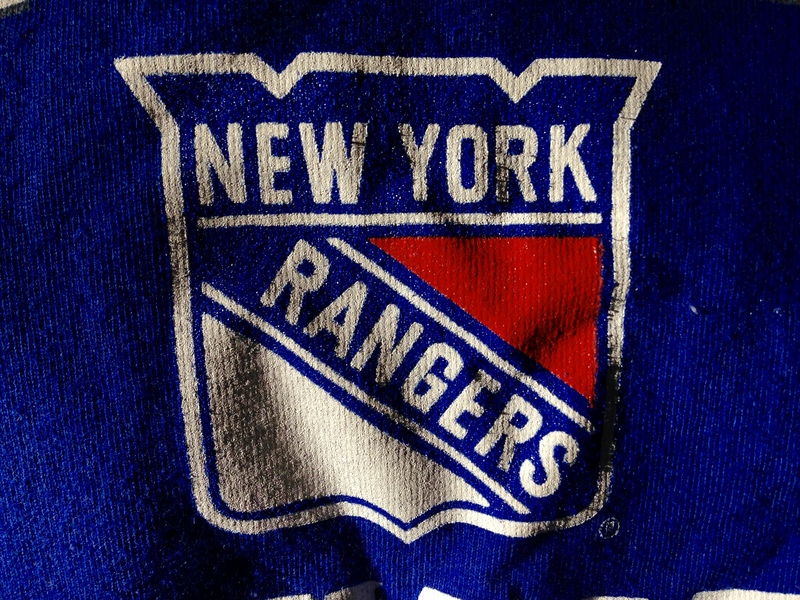 The Rangers [now 20-9-1, 41 pts] host the Chicago Blackhawks Tuesday night at The Garden. Nick Holden‘s goal 55 seconds into overtime gave the Rangers a hard-fought 1-0 win over the Blackhawks Friday night in Chicago. Antti Raanta, starting back-to-back games, made 26 saves and logged his first shutout of the season. The Rangers have won 3 of their last 4 games. Holden came over the boards on a line change early in the overtime, took a pass from Derek Stepan, and sent a wrist shot over Scott Darling‘s right shoulder for the game-winning goal. Chicago thought they had taken a 1-0 lead in regulation, on a goal by Marian Hossa at the 6:00 mark of the 3rd period, but Rangers coach Alain Vigneault challenged the play. The Blackhawks were found to have been offsides and the goal was negated. Raanta and Darling hooked up in quite the goaltenders duel; Darling made 36 saves on the night. The Rangers offense, which, at one point, had scored 72 goals in the first 17 games of the season [a 4.23 average], has scored four goals in a game just once in the last nine games. Holden’s goal was the team’s 100th of the season. The Rangers [now 19-9-1, 39 pts] host the New Jersey Devils Sunday night at The Garden. Kevin Hayes scored a power play goal with just 69 seconds to play, and Antti Raanta stopped 17 of the 18 shots he faced, to give the Rangers a 2-1 win over the Jets Thursday night in Winnipeg. With time running out in the power play, Ryan McDonagh‘s slapshot was deflected in front of the net. Hayes put the rebound past Michael Hutchinson at 18:51 for Hayes’ 11th of the season. On Tuesday, the Blueshirts’ power play went 0-for-6 in the 4-2 loss to the Islanders, but Thursday they scored twice with the man advantage. The Rangers are now 9-0-1 following a loss this season. Raanta is now 6-1-0 on the season. The Rangers got on the board first when Chris Kreider scored his 7th goal of the season, a power play goal, 8:02 into the 1st period. Mark Scheifele tied the game for Winnipeg midway through the 2nd period, scoring his 14th of the season at 9:51 to make it 1-1. The Rangers were without Rick Nash, Jimmy Vesey, and Matt Puempel. The Rangers [now 18-9-1, 37 pts] play the Blackhawks in Chicago Friday night. The Rangers offense struggled again Tuesday, while the special teams had their worst game of the season, as the Blueshirts lost to the Islanders in Brooklyn, 4-2. The Rangers’ penalty kill unit allowed a power play goal to the Islanders, and the Blueshirts’ power play went 0-for-6. It was particularly frustrating in the game’s final moments when, trailing by two and with a 6-on-3 advantage [having pulled Henrik Lundqvist for an extra skater], the Rangers failed to get a single shot off in 32 seconds of that lopsided advtange..
Scott Mayfield and Jason Chimera made it 2-0 Islanders after one period. Then the Rangers offense showed some spark in the 2nd period. Jimmy Vesey scored his 7th goal of the season just 56 seconds into the period to make it 2-1. After allowing a goal to Andrew Ladd 82 seconds later that made it 3-1 Islanders, a goal by Marc Staal at the 8:54 mark of the period – on a blistering slapshot – made it 3-2. In the 3rd, John Tavares scored a powerplay goal at 11:13, beating Lundqvist to Lundqvist’s glove side, to make it 4-2. Jaroslav Halak made 36 saves for the Islanders, and was particularly sharp in the 1st period, stopping all 16 Rangers’ shots he faced. Lundqvist stopped 28 of the 32 shots he faced. The Rangers [now 17-9-1, 35 pts] play the Jets in Winnipeg Thursday. With the Rangers on the verge of another mediocre performance at home Saturday afternoon, Chris Kreider came to the team’s rescue. He scored a pair of late goals to power the Rangers to a 4-2 win over the Carolina Hurricanes. It was New York’s 2nd win over the Hurricanes in a five-day span; they beat Carolina 3-2 Tuesday night. Henrik Lundqvist made 26 saves for the win. Derek Stepan scored 4:05 into the game to give the Rangers an early 1-0 lead. The play was initially called no goal, but was reviewed, and Stepan got the goal, his 5th of the season. Carolina tied the score midway through the 2nd period, on a goal by former Ranger Viktor Stalberg; Stalberg scored two goals in the game Tuesday. In the 3rd period, Michael Grabner continued his strong start to the season, scoring his team-leading 13th goal of the year, at 5:54 of the period, to give New York a 2-1 lead. But, just 32 seconds later, Victor Rask made it 2-2, and it stayed that way until later in the period. Then Kreider took over. He lifted a rebound over Carolina goalie Michael Leighton with 7:35 to play to make it 3-2. Then he scored again, with 2:49 to go, to make it 4-2. Kreider now has six goals on the season. The Rangers [now 17-8-1, 35 pts] play the Islanders Tuesday night in Brooklyn. Jack Eichel scored two goals in a 1:43 span of the 3rd period, leading the Sabres to a come-from-behind 4-3 win over the Rangers Thursday night in Buffalo. It was the first time all season that the Blueshirts lost a game that they led after two periods. The game started with a fluke goal, just seconds after the opening faceoff. Johan Larsson lofted a saucer pass that took an odd bounce and squirted past Henrik Lundqvist and into the net for a goal just 18 seconds into the game, giving the Sabres a 1-0 lead. Ryan McDonagh tied the game for the Rangers with a power play goal at the 16:15 mark of the 1st, his first goal of the season. Rick Nash scored a power play goal of his own at the 8:15 mark of the 2nd. Adam Clendening‘s shot was deflected by Jimmy Vesey and was stopped by Anders Nilsson, but Nash backhanded the rebound in for his 11th of the season. Brian Gionta tied the game, 2-2, just 1:33 later, taking a great pass from Marcus Foligno from behind the net and scoring at 9:48. But Marc Staal gave the Blueshirts the lead again, 3-2, at 11:42. In the 3rd, with Clendening in the penalty box on a hooking call, Eichel scored a power play goal at 12:45, shooting to Lundqvist’s right and scoring to make it 3-3. Moments later, Eichel tried to pass the puck in front of the net, but it deflected off Mats Zuccarello‘s skate and in for what turned out to be the game-wining goal. 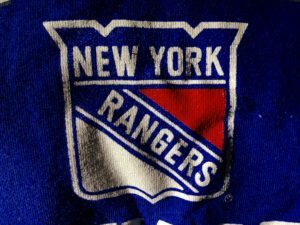 The Rangers [now 16-8-1, 33 pts] host the Carolina Hurricanes Saturday afternoon at The Garden.